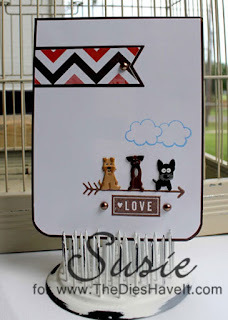 This is just a super simple card using some tiny stamps from Technique Tuesday. Of course I needed something to sit on the arrow...so what better than three puppy brads from Eyelet Outlet? Check out the collection here. This masculine card would be perfect for you to send to that sweet love in your life. Don't you think? I'll be back tomorrow with a brand new project for you. See you then!